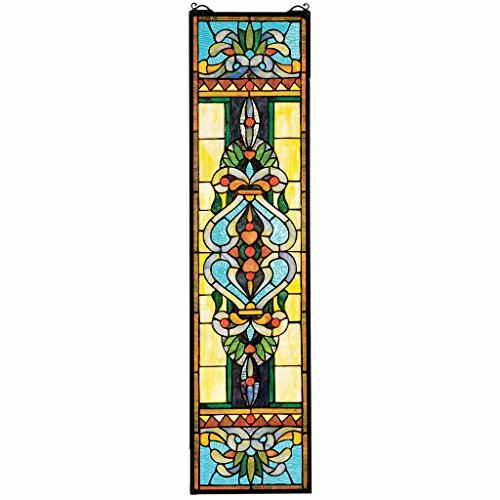 PROGRESSIVE, a Tiffany style Mission wall mount sconce offers a retro-cool design for home or office. Handcrafted with quality materials, this lamp will provides a focal point for your unique design perspective. Abstract glass detailing on the rectangular shade of the Lite Source Mansur Table Lamp with Tiffany Shade comes in green and red on cream. This table lamp stands on a sleek base in dark bronze finish. It requires two 13-watt CFL bulbs (included). Dimensions: 4.5L x 14W x 26H in.. 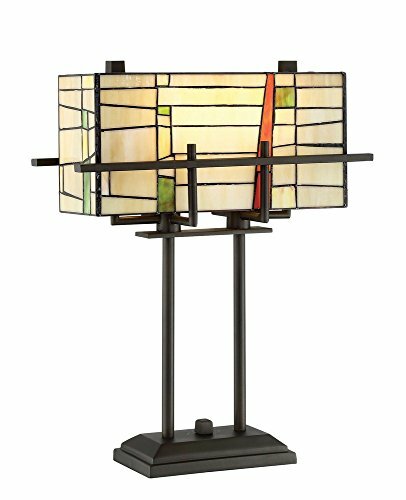 Unique modern table lamp with tiffany style shade. Metal base with glass shade. Dark bronze metal finish. Cream, green and orange rectangular shade. Requires two 13-watt CFL bulbs (included). 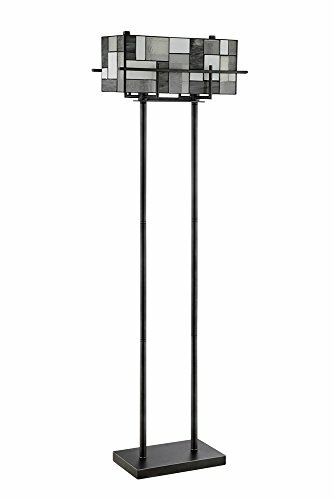 The aged gunmetal finish offers a richness to this streamlined Collins two-light floor lamp by Lite Source. 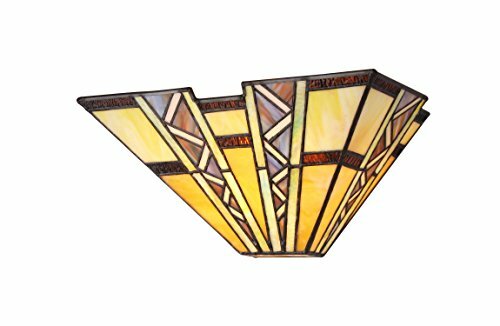 The Tiffany style geometric cut glass shade features various rectangles with tones of gray. Its on-off in-cord switch is convenient to accommodate during use. 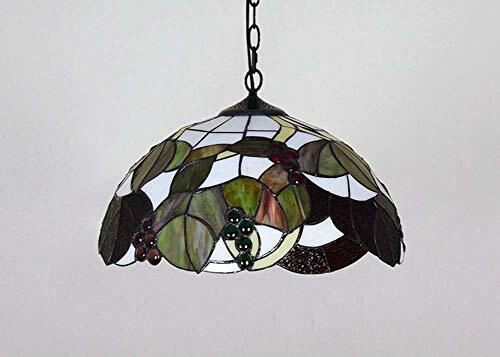 [Shade size]: W44CMH24CM (the length of the chain can be customized according to needs)[lamp specifications]: E27 × 2[power]: 60W × 2[plug]: double flat plug[shade material]: stained glass[Accessory material]: Metal brown[Process]: Hand soldered by Tiffany's traditional craft[Manufacturer recommended light source]: ordinary incandescent lamp (can also use yellow light energy-saving lamp, but the incandescent light scattered with the colored glass lampshade will emit more beautiful and romantic)[Applicable places]: restaurant, bedroom, bedside, bar, hotel, hotel, etc. 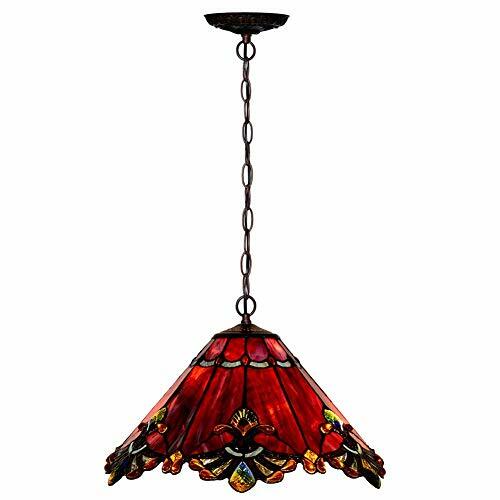 Complement transitional or contemporary decor with the eye-catching tiffany-style glass of this metal floor lamp. From Lite Source, the lamp features a rectangular base with multiple thin posts, all in a black finish. 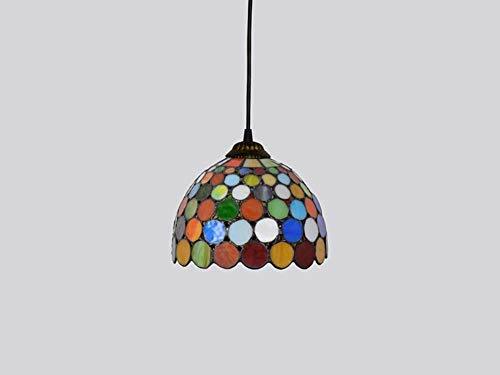 Its rectangular shade features beautiful mosaic glass in a geometric configuration that brings modern flair. 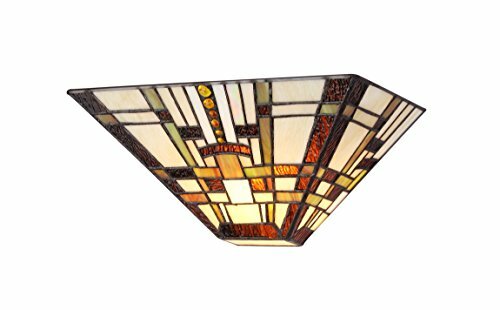 FARLEY, a Mission style wall mount sconce features distinctive geometric shapes contrasted by vertical rows of gem-like cabochons. Handcrafted with quality materials. The opulent look of this majestic torchier floor lamp brings the mission style together with simple elegance of design for a splendid result that will grace your home for years to come. Large panels of swirled light and dark beige art glass form the base of the inverted bowl shade. The shades edge features panels of intricate filigree in the classic mission style of squares, rectangles and arrowheads. Great addition to any room in your home.